With distinguished character and impeccable architecture, real estate in the Lehigh Valley in Pennsylvania is a treasure for those interested in antique homes. The rich history of this area goes back hundreds of years, and as a result, there are houses from every era that have been recognized by the National Registry of Historic Homes scattered throughout the valley. Many of the towns have beautiful historic sections, and cities like Bethlehem and Allentown even give out grants for restoring historic homes. For a glimpse into the Lehigh Valley’s fascinating past, be sure to visit these regal residences on your next trip to Pennsylvania. 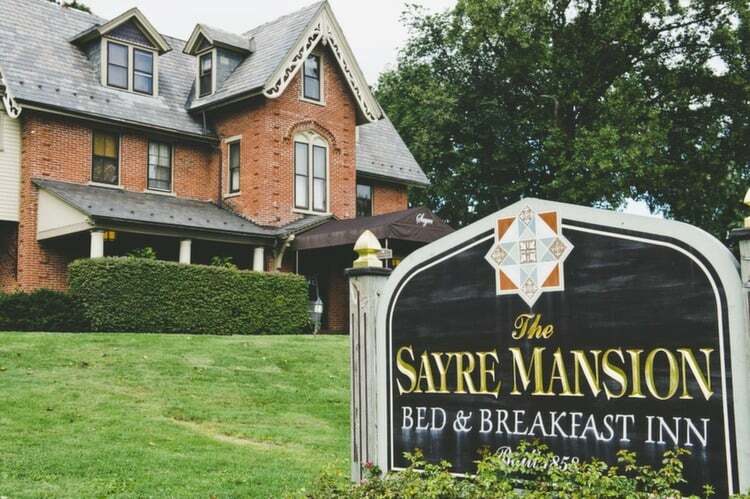 When planning your home viewing tour, book your stay at the historic Sayre Mansion in Bethlehem, where you can experience the old-world elegance of Lehigh Valley firsthand. Plus, you’ll be just a short drive from the most stunning historic homes in the area! Here are some of our favorites. 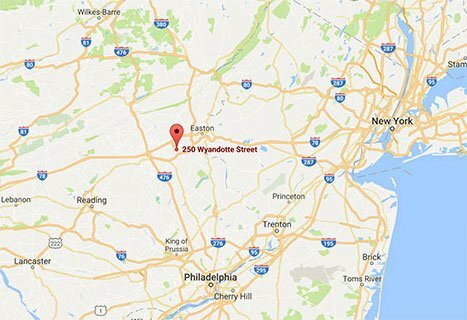 Burnside Plantation: The Burnside Plantation is a 6.5-acre plantation in Bethlehem, PA. 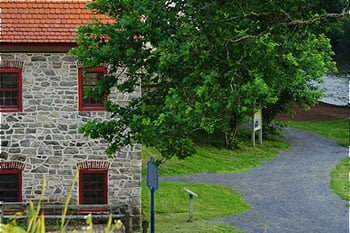 Originally owned by James Burnside back in 1748, Lehigh County bought the plantation in 1986 in order to restore, develop, and manage it as a living and natural history resource. Central Bethlehem Historic District: This district is primarily residential, but also includes commercial buildings along Main Street. Most of the buildings were built between the mid-18th to early-20th century and reflect Bethlehem’s development from a Moravian community to an industrial based economy. Jacob Jr. Ehrenhardt House: Built in 1803, this 2 1/2-story fieldstone house features a slate-covered roof and is open to the public as a historic house museum. Gauff-Roth House: Located in Allentown, PA, this house features a wraparound porch, third-floor balcony, 66 windows, and two working chimneys. An oak staircase stretches three floors, and 43 doors and extensive wood decorations have retained their original finish with few minor changes over the years. Mount Airy Historic District: Also known as Mount Airy Park, this national historic district in Bethlehem includes large, ornate residences built between 1910 and 1930 and has a few homes that date back as early as 1895. Shelter House: This historic home located in Emmaus, PA, was built between 1734 and 1741 and is a medieval-type Germanic log house with a gable roof and square stone chimney. 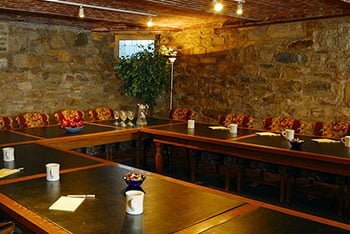 The structure is believed to be the oldest continuously occupied structure in the Lehigh Valley, as well as the oldest building in Emmaus. Rodale Organic Gardening Experimental Farm: Also known as the Working Tree Center, this farm is home to a historic farmhouse that dates back to about 1830. It’s significant for its associations with J.I. Rodal, who was an early proponent of organic gardening and farming in the twentieth century. Kemmerer House: Formerly known as the Mr. & Mrs. Russell L. Pellett Residence, this historic home is also located in Emmaus and was built between 1840 and 1850. Its two-story, masonry dwelling has Georgian style influences and a Pennsylvania-German forebay barn can also be found on the property. Fountain Hill Historic District: This national historic district in Bethlehem has buildings that include elaborate, architecturally distinctive mansions and public church buildings. The mansions are the focus of the district and include the Linderman / Schwab Mansion, Robert Sayre House, and Elisha Packer Wilbur Mansion. 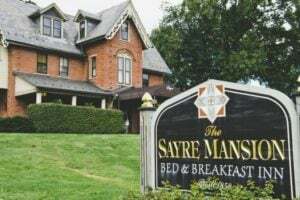 The Sayre Mansion: Also known as the Robert Sayre House, our mansion is located in the heart of the Fountain Hill Historic District. Robert Heysham Sayre was the chief engineer of the Lehigh Valley Railroad and built his Gothic Revival-style mansion in 1857. He moved his family to the mansion in June 1858 and lived here until his death in 1907. 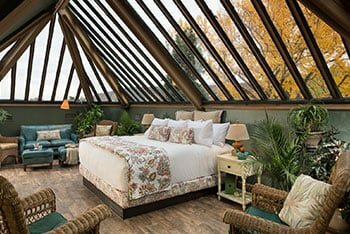 Today, our stunning Bethlehem bed and breakfast features luxurious accommodations, historic charm, and refined services that will make your trip the Lehigh Valley one you’ll never forget! For more information on things to do and see in historic Bethlehem, PA, download our free vacation guide.